The beauty of Venetian glass mirrors has been appreciated for several hundred years in many parts of the world. A craft that developed on a tiny island in Italy produced beautiful works of art that hang in homes and even palaces belonging to kings and queens. The art of blowing glass and creating mirrors was passed down from father to son and a group of Italian craftsmen eventually began to create mirrors that attracted the attention of the nobility in Europe during the latter part of the Renaissance. The mirrors are made with individual pieces of hand blown glass that are attached to a wooden frame with tiny screws with rosette covers. The glass was unique because of its thinness, clarity and brilliant colors. Designs were often etched on the underside of the glass. Up until this time, mirrors played a functional role by bringing illumination into rooms without much natural light. Many of the mirrors had candles holders built into the bottom part of the frame. The mirror was meant to reflect the light from the candles to illuminate the room. As the nobility of Europe discovered the beauty of the Venetian mirrors, they hired craftsman to make even more ornate mirrors, to show off their wealth to their friends. We can still find some of these old Venetian mirrors throughout Europe, in both private homes and museums. And their are still craftsman creating these treasures in Italy today. Thankfully, there are also less expensive reproductions available in different styles and price ranges that would fit in with traditional as well as more modern decor. 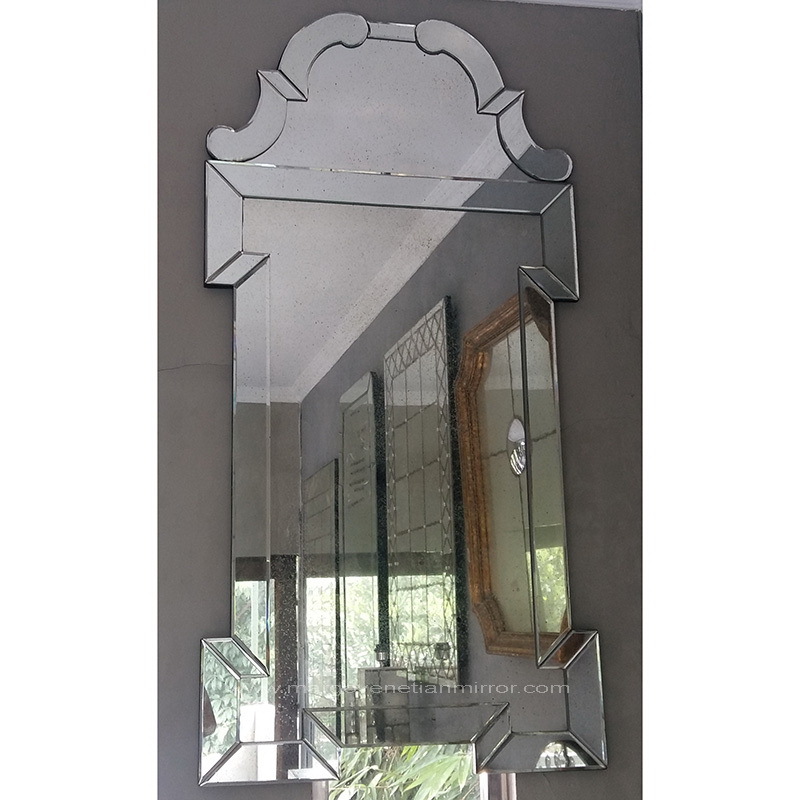 You can find very ornate Venetian glass mirrors that resemble the Renaissance versions or quite simple variations, that only take the general ideas of etched glass for a contemporary look. A large Venetian mirror can become the focal point of a living or dining room. Smaller mirrors may work well in a bedroom or bathroom. An entry way would be another great place to hang such a mirror. The Venetian glass mirrors you can purchase today serve the same dual purpose of the Renaissance versions. Hang one in your home and you will bright in more light and make the room seem quite a bit larger than it is. You can also enjoy the beauty of the mirror and even impress your friends if you want to. Perhaps this is why these mirrors have been popular for centuries. Learn more about decorating with Venetian glass mirrors [http://uncommonrooms.com/use-venetian-mirrors-to-add-glamour-and-light/] or visit Uncommon Rooms [http://uncommonrooms.com/] for unique home decor ideas.